There is much more to the town than is gathered from first impressions. Melksham is surrounded by many walking, cycling and boating routes along with small villages and hamlets. 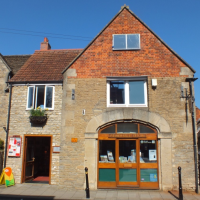 Melksham is ideally located in close proximity to many west country attractions. Melksham is ideally located alongside the A350 one of the main gateways to the magnificent Wiltshire countryside. It is loved by people who enjoy walking, cycling and boating along the lanes, byways and canals of our beautiful Wiltshire county whilst visiting Wiltshire’s World Heritage sites and its stately homes and gardens such as Bowood, Longleat, Chalfield Manor and Lacock. Or perhaps walking or cycling along the excellently restored Kennet & Avon canal system. It is the ideal satellite base for visitors seeking reasonable, inexpensive accommodation, and camping sites along with good eating-out facilities; it is within easy travelling distance of the Georgian grandeur of the historic City of Bath, the beautiful villages of Lacock and Castle Combe and the splendour of the Cotswolds.